Textit allows you to customise marketing campaigns using information you’ve collected from the user allowing for personalized marketing messages to increase response rates. Our Textit review found them to be more expensive but have a few unique features which may appeal to some UK companies. British businesses and organisations, whether large or small, often need to send hundreds or thousands of SMS text messages for marketing campaigns in order to provide customers, clients, stakeholders or staff with updated information, which may be critical or time sensitive. This SMS Marketing Comparison Table compares the features of Textit to other SMS Marketing providers. 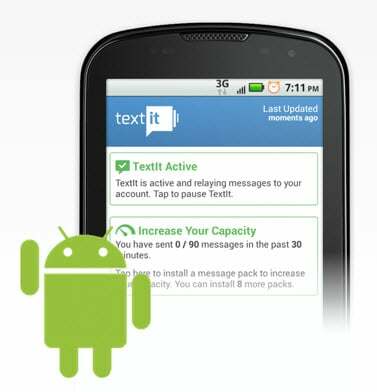 Textit allow you to build your own text message system or even develop and distribute through a drip system marketing program. By choosing both the type of messages or information and the schedule, you can keep your users most engaged. 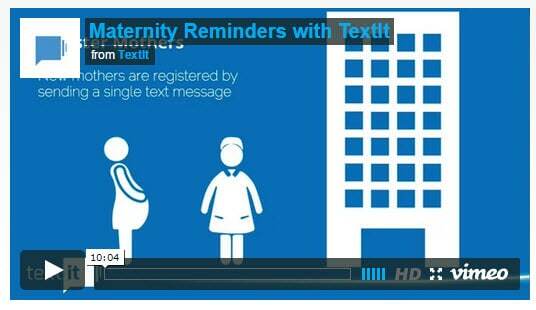 You can even send your users reminders at any point during your campaign. As one of the leading British SMS Marketing service providers, it was considered in the SMS Marketing Comparison table , based on a number of key selection criteria of the five SMS Marketing providers. As a premium text messaging platform for business, it provides high performance SMS applications, delivered via direct connections with best practice security provided. It can offer services to marketers, clubs, government, retailers, charities, enterprises and education institutions. At the core of TextIt lies its exclusive ‘Flow’ engine where anybody can set up or modify a complex SMS application without the need of a programmer or expensive consulting company. Using a basic Android phone, it can become easy to launch your application instantly in any country while avoiding expensive set-up costs or external technical support. Textit SMS run high speed connections to suppliers which gives them the capacity to take high volume clients that need large SMS quantities to be sent within short time-frames. They can provide delivery reports which show elements such as bounces of messages sent through online platform. Our Textit Review found that it provides personalised broadcasts allowing Britishs to easily broadcast an SMS to a group of users, even allowing you to customize the message just like a mail merge. You can send broadcasts texts immediately or at a later time even repeating them on a set schedule if you like. It is able to keep track of every user who has interacted with TextIt using contacts. TextIt automatically creates a contact for each user and saves the full message history. One can group contacts as one likes and add custom fields that are appropriate for the organization. As can be seen in the Comparison Table, there are other conditions that Textit does not offer such as direct SMS API, ability to forward emails; mail merge vial Excel and no Microsoft Outlook SMS, no web chat, and no server uptime details unlike other competitors that provide uptime guarantees. Is Textit Value for Money? Finding the right SMS Business solution in UK needs to also factor in price. Comparing the SMS providers in the SMS Marketing UK Comparison table, our Textit review found the provider is the most expensive ranging above the competitors’ price on average around 50% more than other comparable service providers. It has the highest prices in all price brackets for different distribution numbers. Most notable is the middle range of 100,000 to 250, 000 SMS messages that could be sent each month. Additionally, unlike the other text message reminder providers which have one year or unlimited credit expiry, Textit has a monthly by monthly credit expiry condition and a monthly charge of $50. Although our Textit review found the provider to be significantly more expensive as a SMS Marketing Provider, their exclusive Flow engine which anybody can set up or modify for a complex SMS application without the need of a programmer or expensive consulting company is a key positive. For most British companies looking for a Marketing SMS provider, this may be a greater benefit to offset the increased charges. Marketing companies and Marketing Departments within a Business which need to send critical and time sensitive messages, they should engage with a premium SMS Marketing provider like TextIt that offer ‘tier 1’ or ‘direct to carrier’ gateways, liking to British networks to maximize delivery delivery and minimize lag times. Textit already works anywhere in the world, instantly. Simply by downloading its free Android application to create an instant, reliable and inexpensive connection to TextIt, messages will then be sent and received using that phone’s local SIM card automatically. Whether in the US, Canada or the UK, one can easily connect a Twilio account to take advantage of instant low cost messaging in your own country. Many businesses require a Marketing SMS service to guarantee messages are received as well as the need to know when their particular audiences are reachable. That’s why TextIt highlights with its SMS service helping you identify users who have questions or problems, making it easy to address your concerns. Send and receive SMS messages and organize them using labels, just like email. The authors understand just how hard it is to compare SMS Marketing providers in UK. With so many providers in UK, pricing structures and delivery networks it can take a long time to find the right provider for you. Having worked with some of the leading SMS UK providers in the past, the key information that British businesses needed were collected from individual British SMS providers’ websites and inserted into the SMS Marketing UK Comparison Table. The original table had a number of providers but those that had uncompetitive prices for British companies and were removed so as to not over-complicate the comparison table. The final data was collected independently without any help from the SMS providers. As this data has been gained manually, providers’ websites may change their prices and features without notice, so it’s recommended that you double check prices and features prior to purchasing text message products. If you find any information on this site that is inaccurate or needs to be updated please use the ‘contact us’ section to notify the owners of the site. We will aim to have the change made within minutes.